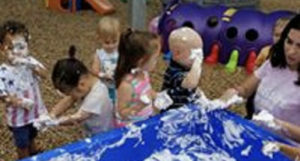 Certified top-rated preschool in Phoenix and Scottsdale! Reaching new milestones through academics, play, experiences and the arts. 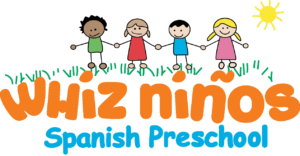 Whiz Kidz Preschool is dedicated to the development of successful future generation, through Christian centered values and excellent academics. Inspiring and motivating our children to develop to their full potential. Family First– Children and their parents are our highest priority. Inclusive Community– We welcome everyone and we want everyone in our community to laugh, smile and feel welcomed! Kindness– We treat everyone with respect and compassion. Integrity– We are trusted by others and honest in everything we do. Continuous Development– We look for ways to innovate and be on the cutting edge of great educational programs. Come join us at our Phoenix campus, where we have created an all-inclusive environment full of positive love, guidance, and focus on your children. With complete meals, competitive rates, and advanced learning programs, our Phoenix campus is a fully equipped facility that will ensure your child’s safety, the highest quality of teaching, and an ideal school community. 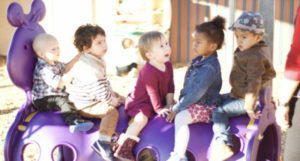 Our newest location in Scottsdale was designed to be the perfect environment for fun learning and growth in all areas of your child’s development. With a focus on hands-on learning, play-based teaching, and learning centers, your child will get the most out of their time at this 8,000+ sq. foot preschool center. The first 12 months of your child’s life are crucial to their development. At WhizKidz, , our infant childcare program takes an caring and well proven approach to infant development. Our staff members are highly trained and educated in the field of adolescent child development, and are more than prepared to help guide your infant through those first stages of life and learning. Our well-rounded preschool program is ideal for children aged 2-5. It is the desire for our staff here at WhizKidz to foster imagination and creativity in your child, while teaching them what they will need to know as they move forward in their school years. We want every child to feel like they are getting the attention that they need, and that they are benefitting from what our staff is teaching to them. Our school kids program in Phoenix and Scottsdale is dedicated to the successful development of your child. We are absolutely committed to helping your child to develop to their full potential. We value the fact that our program is not a part of a big chain school because the mid-sized level of our allows us to take time with each child, and provide them with a fun, yet educational program for your school-age child. For toddlers, the early years of learning are the extremely important to their future school years. At WhizKidz, our goal is to help prepare them for success as they move forward. This is why our toddler program uses a hands-on learning approach and individualized goal plans for each child, so that they can get the most out their time spent with us. We offer many benefits that the big chain preschools do not offer! ALL NATURAL meals and snacks, provided by local farms and prepared fresh daily. Vegetarian options available. Come on by and visit us!